In her ILLUSIONS series (2016–ongoing), Grada Kilomba combines Greek myths with video, text, and storytelling, in order to explore symbolism and allegory as carriers of oppression. 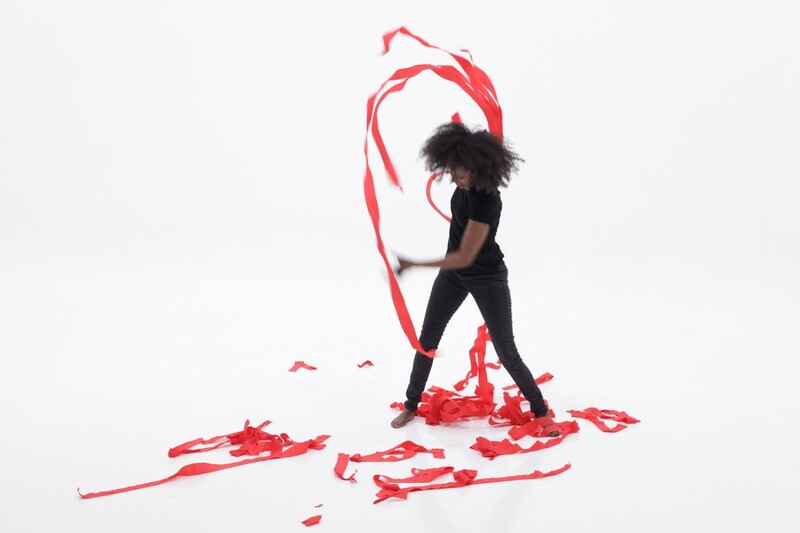 With each live performance, shown here in video format, she retells a story, gradually turning its metaphors upside down and unpacking a deep analysis of the oppressive, racialized, and gendered social relations that form its structure. The work exposes the exploiter dynamic that centers and marginalizes as an unnatural, disruptive, and unhealthy pattern for society as a whole. 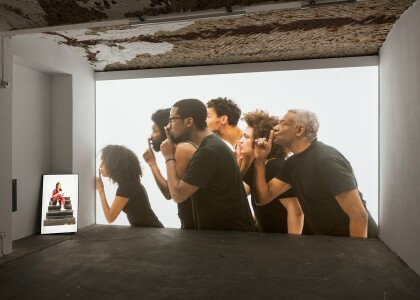 Through the appropriation of stories and the languages they carry forward, she forms conversations beginning with the denaturalization of a status quo that designates “otherness.” For the 10th Berlin Biennale, Kilomba extends the trajectory of her ILLUSIONS series—which began in 2016 with the story of Narcissus and echo—by presenting an iteration dedicated to the myth of Oedipus, which explores the fatal tensions between a father and son doomed to tragedy. Using film and music combined with oral storytelling traditions, Kilomba uses the topics of loyalty and the politics of violence to consider the role that destiny can play for those embedded within a system of reproductive and cyclical oppression.